To kick off the summer of proactive prevention, on May 3rd we opened Sip of Hope, the world’s first coffee shop wherein 100% of the profits go directly back into the community through proactive outreach and mental health education. 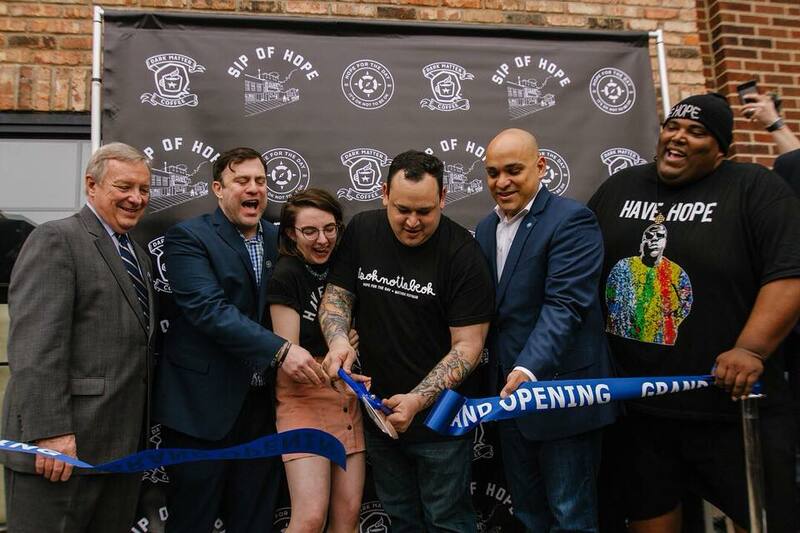 Since the ribbon cutting, the wonderful staff at Sip have been slingin’ the Dark Matter joe to the people of Logan Square and raising the visibility of mental health struggles. If you haven’t yet, go grab a delicious Nectar of the Gods, check out the delightful Lauren Asta mural, and grab some literature on mental health awareness at the Logan Square shop on Fullerton Ave.
On May 24th, we hosted our 6th annual Art Gives Me Hope art exhibit and charity raffle at the Annex. An overwhelming amount of local artists contributed pieces to the diverse exhibit, and Threadless brought to the table a custom lot of t-shirts and art-adorned shoes that visitors to the event could bid on. All together, the event raised thousands for mental health awareness and we had a great time with everyone who came out! On June 2nd and June 16th respectively, we ran for mental health awareness in the 3rd annual Humboldt Mile in Chicago and Ben’s Memorial Mile in Downer’s Grove. 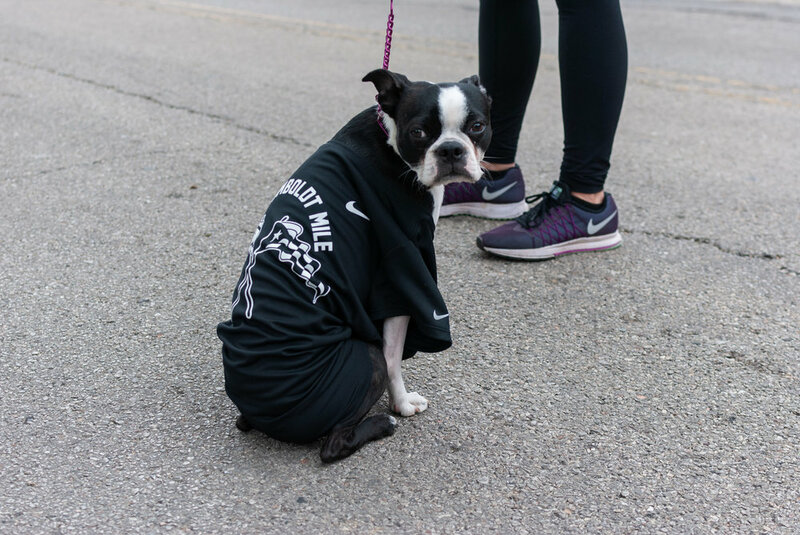 A community of runners, sufferers of mental health struggles, family members, and community members ran together in solidarity to raise awareness for Mental Health Month and for schizophrenia. After all that physical activity, we worked up quite the appetite, so we partnered up with our good friends and Partners in Prevention at Sportsman’s Club on June 3rd to host a charity pig roast. Chef Kevin Cowens helped us roast up a delicious meal for our Hogs for Hope backyard event, and 100% of the donation proceeds went to our mental health outreach programming. We love our community, and the people who make it the unique and caring place that it is, so we were happy to be a part of the Archie’s Block Party on June 23rd. Archie’s Iowa Rockwell Tavern celebrated a remarkable 75 years of bringing a sense of community and good times to the Ukrainian Village neighborhood. We danced, we hydrated, we had a blast. To cool things down a bit, on June 24th we helped host the Dilly Bar Golf Outing in Naperville. This event is in memory of Jonathan Kaden, and addresses the awareness of the issue that is teen suicide. Ice cream and golf are two classic summer mainstays, but this event is all about the incredible community that came out to support the cause and keep the conversation going about mental health and suicide in our neighborhoods. On July 6th and 7th, we co-hosted the annual Dark Matter Coffee Block Party to celebrate their 11th year in business, and to raise awareness as well as donations for our mission of proactive prevention and education. The event spanned two hot summer days, with a line-up full of local bands and musical artists, as well as food donations from other supportive local businesses. It was a party to wrap up all the summer fun, and finish working on our tans! Of course, throughout all of the local Chicago summer festivities, we were also actively traveling and spreading the word of proactive suicide prevention along the Warped Tour trail, as well as making pit stops in places like New York City for the Small Bites of Hope event. It’s been a jam-packed season of fun and excitement, but the tans are fading, the chlorine is mostly washed out of our hair, and it’s time to get back to school. We’re looking forward to bringing our mental health programming and outreach to school districts in our communities, and we know this fall is going to be a great one!